With our powerful brands and strong customer partnerships, SSAB creates value for customers, investors, other stakeholders and even society at large. SSAB’s unique certified-member programs, Hardox® In My Body and My Inner Strenx®, are the greatest programs in the industry. They play a major role in SSAB’s strategy of sustained and sustainable growth – both for our company and for our customers. Hardox® In My Body has been available to Hardox® wear plate customers, for nearly 20 years. My Inner Strenx®, although a recent newcomer launched in 2015, is the fastest growing program for customers using Strenx® performance steel. These popular programs have more than 500 members worldwide and are steadily gaining new members. 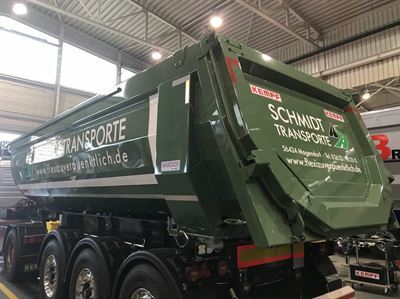 Products covered by the programs span a wide variety of equipment types, such as dumper bodies, buckets, trailers, and equipment for lifting, transportation, recycling and agriculture, in all heavy industries. From a strategic perspective, the programs are an integral part of SSAB Special Steel’s growth strategy. They help to boost profitability, offer our customers a superior customer experience, and demonstrate SSAB’s sustainability leadership. Through the programs, SSAB helps members to use high-strength steel to reduce the weight of their equipment, improve fuel economy and extend product lifetime – factors that also have a major impact on reducing their carbon footprint. Program members around the globe are eager to share their success stories. 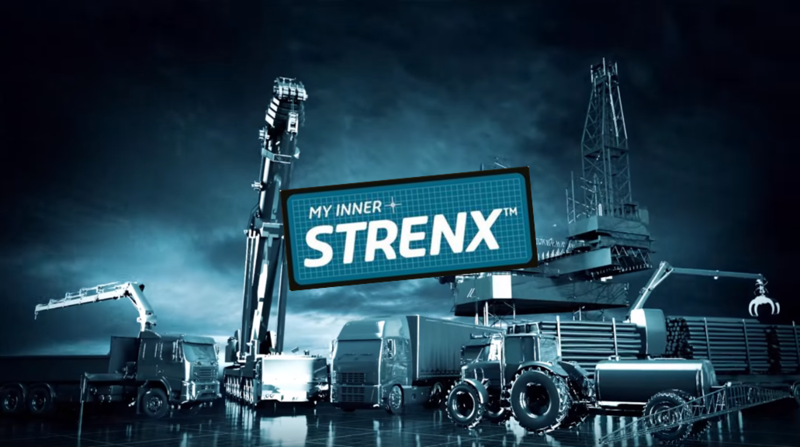 Learn about the benefits they have gained by watching customer videos about Hardox® In My Body and My Inner Strenx®. For example, BS Crane, the first company in China to become a member of My Inner Strenx®, was able to increase customer trust and loyalty and speed its entry into new markets by producing knuckle boom cranes and components that weigh less yet carry heavier loads. Canadian member K-Tec Earthmovers was able to refine the design of its earthmoving scraper and enhance its mechanical properties. Now the world’s largest dirt-moving scraper, the vehicle is more durable and lightweight thanks to Hardox® wear plate, with a weight distribution system that allows for moving more massive amounts of dirt without extra horsepower or fuel. The programs allow members to use the Hardox® In My Body or My Inner Strenx® logo on their products when marketing their equipment. The programs are limited strictly to companies with a proven track record of excellence in the fabrication and use of the steels. To join the programs, a company must apply for membership and show that production quality, welding and design meet SSAB’s defined standards. When a product is approved, the company receives a sign with a unique serial number that verifies the authenticity of each product they produce and allows traceability back to the source. The sign acts as a guarantee to the end user, indicating that they are getting a quality product that meets SSAB’s standards. And once a company becomes a certified member, it must continue to maintain and uphold stringent quality criteria. To measure program benefits and member satisfaction, we conducted a member survey. What our members reported confirms the success of our strategy. 77% say it is easier or extremely easy to sell their products after attaching the brand logos to them. 63% have increased sales by more than 50% since becoming members of the programs. 91% say they are extremely satisfied with SSAB’s marketing support. 78% say that the programs played a significant role in their ability to expand faster into new markets. 72% say that end users are more likely or extremely likely to pay a premium for a branded product compared with a similar competitor/rival product. 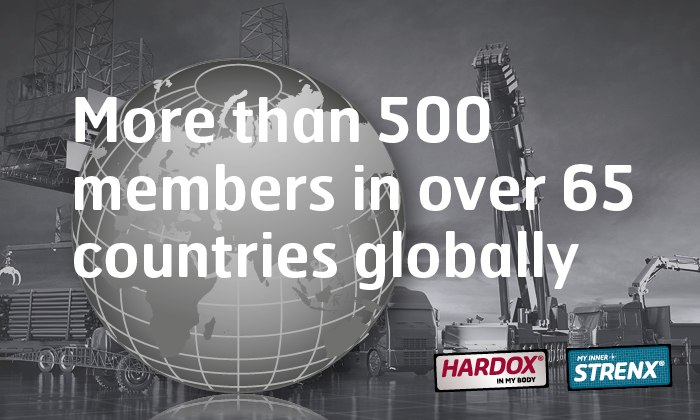 The majority of SSAB’s customers are really enthusiastic about the Hardox® and Strenx® brands. Even more so end users, who are one of the main target groups. In fact, the success and brand strength have taken the concept to new levels – end users have literally branded themselves with Hardox® or Strenx® tattoos. Now, that’s what we call a true fan. And according to our program members, the majority of end users become repeat customers. 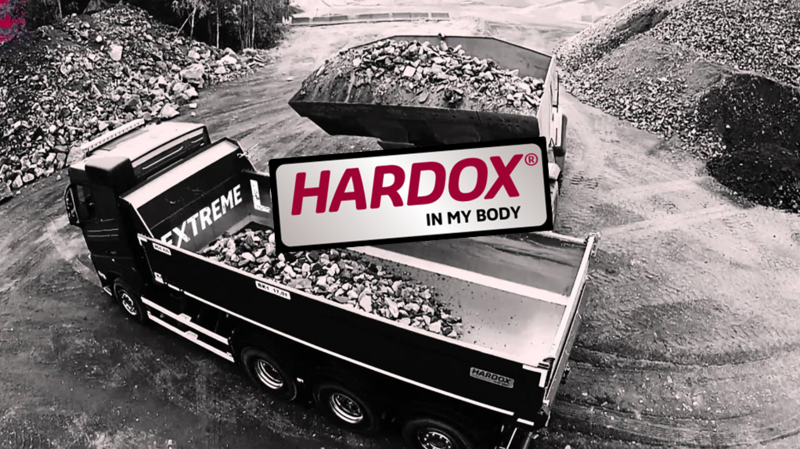 All in all, the Hardox® In My Body and My Inner Strenx® programs are a mutually beneficial partnership for innovative product development, brand recognition and business success.